Micro and small business operators that received government’s SME grant have been advised and encouraged not to waste the opportunity they have been given. Prime Minister Voreqe Bainimarama made the appeal at the Micro and Small Business Grant Launch and Cheque Handing-Over Ceremony yesterday. 330 business operators received $1000 each to expand their business. 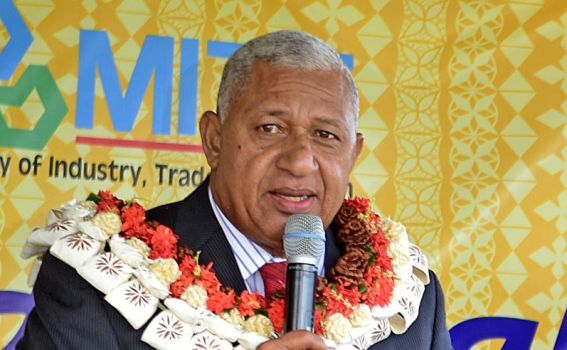 Bainimarama has pleaded with the operators to use the grants wisely and responsibly to either start a business venture or grow their existing business. A total of 25,789 applications were received – of which 7661 have qualified for the assistance. The targeted individuals are handicraft sellers, small scale fruit and vegetable sellers and even farmers.